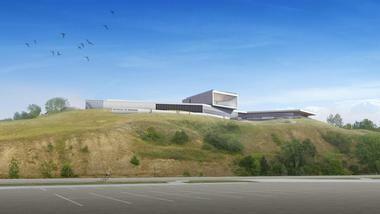 Situated on the banks of the Missouri River, Bismarck, North Dakota, is a fast growing modern city. The Cathedral District, with the imposing art deco Cathedral of the Holy Spirit, is the city’s historic neighborhood. Surrounded by parks and the green banks of the Missouri River, Bismarck offers great outdoor adventures, from hiking and fishing to exploring historic attractions. There is no better way to learn what has made modern North Dakota what it is than by visiting the North Dakota Heritage Center and State Museum. Travelling through time from one exhibit to another, you will see the life-size skeleton of a Tyrannosaurus rex, beadwork and rare pottery crafted by native people, the world’s biggest giant squid fossil, and even a Mars spacesuit. Located within the grounds of the State Capitol in the spectacular glass and steel Northern Lights Atrium, this state history museum covers the history of North Dakota in all aspects – its geology, prehistory, early inhabitants, and a vibrant mix of cultures that helped shape North Dakota. There are thousands of specimens and artifacts, high-tech 3-D displays, and interactive exhibits arranged in a number of galleries covering more than 600 million years of development and changes. When you need a pick-me-up, stop at the James River Café for some dinosaur cookies. 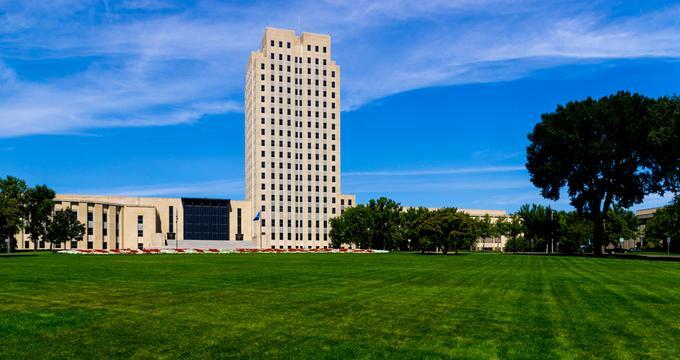 About 20 miles before you reach Bismarck you will see the city’s main landmark: the magnificent 19-story Art Deco state capitol, the tallest building in the city and the seat of the North Dakota government dominates the city skyline and can be seen from far away. Architects W. F. Kurke of Fargo and Joseph Bell DeRemer of Grand Forks together with the Chicago Holabird and Root designed Tthe 241.67-foot tall building, which is called the Skyscraper on the Prairie. There is an observation deck on the 18th floor, the highest point in the entire state. The building is located in the middle of a beautiful green campus that houses six other government buildings, Myron Atkinson Park, the Capitol Park, and in the center, Capitol Mall, an open field of grass surrounded on both sides by magnificent American elms and miles of walking paths. U.S. President George H. W. Bush for the state’s centennial planted one of the elms. Would you like to adopt a snow leopard? Don’t worry, you do not have to bring it home and find a way to feed it. Adopt an Animal is part of the Dakota Zoo fundraising campaign to make the zoo even better and to help feed the animals that are living there. It is also an excellent reason to visit this amazing facility. What started as a Christiansen family farm in 1961 with a few farm animals today spreads across 90 acres of forested land on the banks of the Missouri River, offering natural habitats to more than 600 animals, reptiles, fish, and birds representing 125 species. Many of the animals are endangered, and the zoo is involved in the international effort to ensure that they survive and thrive. The zoo works closely with local schools and has a range of programs and presentations for the kids. Come and stroll among the habitats and pick an animal to become your little protégée, or just enjoy watching them have fun and watch you back. 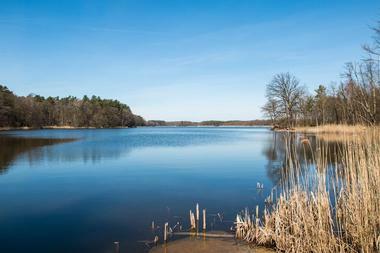 McDowell Dam Recreation Area is a 271-acre park surrounding a man-made lake built for the sole purpose of recreation. It is located about five miles from Bismarck and is one of the favorite local parks during the summer. The sandy beach offers a great spot for sunbathing and swimming, and kids love it for making sand castles. 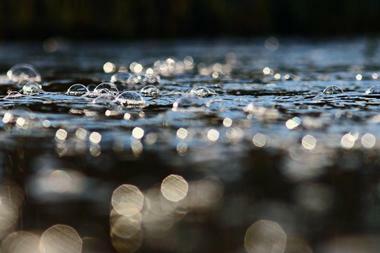 There are boats and paddleboats for rent, and the lake, stocked with trout, is popular among fishermen. Picnic shelters and the kids’ playground are lively during the warm summer weekends and are available to rent for parties and celebrations. A horseshoe pit is also located in the park, not something seen in many other parks. There is a paved trail for hiking or running around the lake as well as another one through the wooded area of the park. 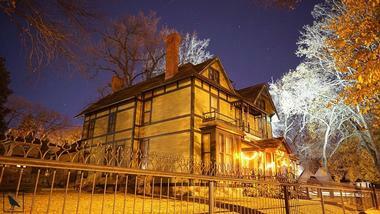 Built in 1884 as a private residence of the liquor dealer Asa Fisher, this beautiful mansion was designed in a Victorian Stick style and functioned as the residence of North Dakota governors from 1893 to 1960. During that time the mansion housed 20 state governors. Besides the main two and half stories house, there is a carriage house in the back that was added after the building’s construction. Buckstop Junction is a historic town that was established to preserves the area's history. Designed and built by the Missouri Valley Historical Society to give visitors a feel for the atmosphere of the Missouri River Valley during the past, the little town is a life-size replica of the one that dates back to the late 1800s and early 1900s, with actual buildings that have been moved to the site. 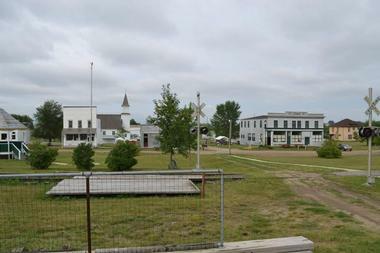 Historic buildings in the town range from an old school house built in 1906 and the Sterling Depot made in 1885 to the Yegen Store built in 1877, a 1916 Bethel Lutheran Church and a 1930s Capital Aviation hangar. Other early buildings to explore in the town include a bank, post office, barbershop, and farm museum, as well as several homes of important townspeople. After your visit, browse The Vintage Gift Shoppe for memorabilia and collectibles from this fascinating “old” town. 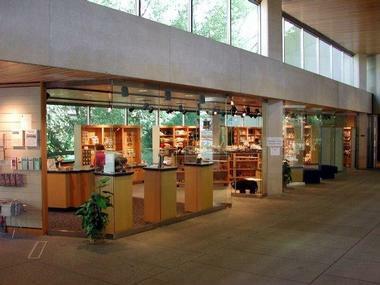 Gateway to Science is a science center for all ages that offers a variety of informal science learning opportunities through interactive exhibits, displays, programs, and special events. The state-of-the-art science center focuses on inspiring visitors to take an interest in science and the natural world and think about a career in the science/technology field. Bismarck’s SuperSlide Amusement Park provides fun for the whole family. 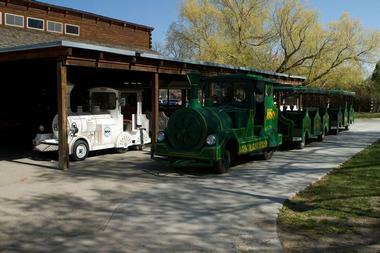 Established in 1967, the park has been a center of excitement for families for nearly 50 years. The park features a variety of slides, rides, and games for all ages, from the exhilarating SuperSlide and mini-golf to Bankshot basketball and batting cages for sports fans. Younger kids can enjoy an array of games and rides that cater to their size and age, including teacups and an antique carousel, while older children can have fun on the roller coaster, climbing wall, and bumper cars. Take in the beautiful views from the top of the Ferris wheel or head to the bouncing castle for mind-boggling fun. Other exciting rides include swings, a critter track, and whisper carts, and the park is home to North Dakota's only “runaway trail” roller coaster. Camp Hancock State Historic Site preserves part of an 1872 military installation once known as Camp Greeley that was established to provide protection for garrison troops who were building the Northern Pacific Railroad. 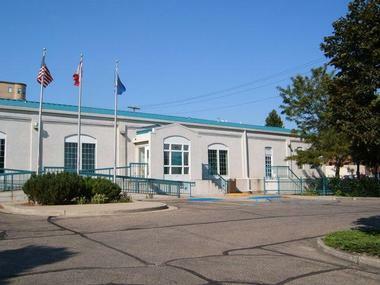 Located at 101 East Main Avenue, the camp features several buildings, including the log cabin that was once the headquarters of the camp and now serves as an interpretive museum filled with artifacts, items, and information about Bismarck’s local history. 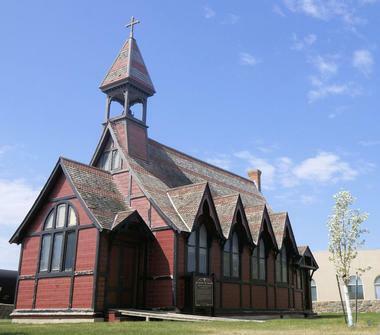 Other amenities on the site include a 1909 Northern Pacific Locomotive, the oldest church in Bismarck, the Bread of Life Church, a lovely picnic area for relaxing, and modern restrooms. The camp's name was changed to Camp Hancock in 1873 and is now listed on the National Register of Historic Places. General Sibley Park is a popular recreation spot and campground located on South Washington Street four miles south of Bismarck. Established in 1967, the park, which covers an area of 138 acres, was named after General Henry Sibley, and it features an array of recreational activities and attractions for the whole family. The park includes clean and spacious camping sites for both motorhomes and tents, as well as electrical hookups, modern restrooms, picnic shelters, playgrounds for children, and a boat ramp. 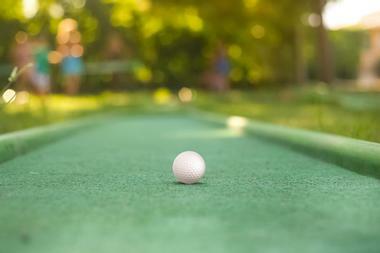 You can enjoy a game of golf on the 24-hole disc golf course, and there is a sand volleyball court for some fun in the sun. 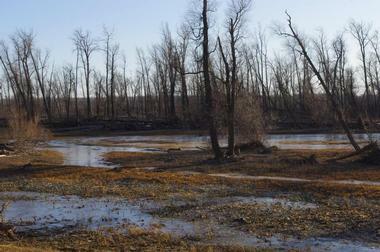 Eagles Park also offers rustic camping space just south of the historic Double Ditch Indian Village site. 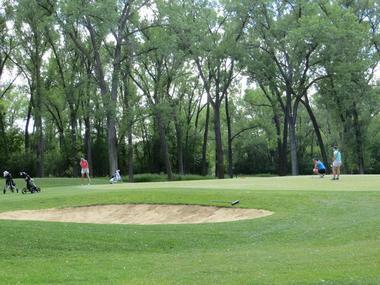 Hawktree Golf Club is an eco-friendly 18-hole golf course bordered by the hills of Burnt Creek Valley. Located five miles north of Bismarck, the naturally challenging course features an open, links-style design with just 80 acres of irrigated turf grass, short prairie grasses, black coal sand bunkers, and three unspoiled lakes. The upper-plains course is noted for its breath-taking scenery and challenging course, with water play at no less than 11 of the holes. Club amenities include a driving range, chipping and putting greens, a pro shop, and snack shop, and you can book lessons with a PGA pro to improve your game. 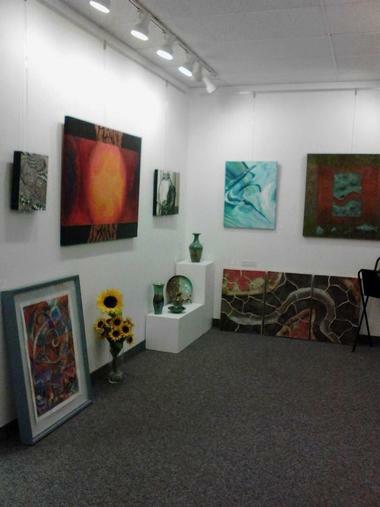 The Bismarck Downtown Artist Cooperative (BDAC) is an art gallery and working studio space operated by and for local artists. Located in the historic Tribune Building in downtown Bismarck, the Cooperative was set up in 2011 with the mission of boosting interest in the fine arts in the Bismarck community, and it puts on collective exhibitions throughout the year for artists to showcase their work. Keeping its finger on the pulse of all local art developments, the BDAC also hosts special themed exhibitions and “art swaps” with other galleries in the area. Shows feature an array of work in different art mediums, styles, and formats and continually change throughout the year. 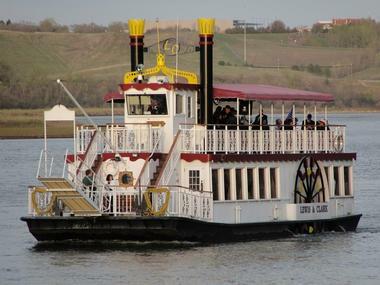 Owned and operated by The Fort Abraham Lincoln Foundation, The Lewis & Clark Riverboat offers daily seasonal cruises on the Missouri River, including dinner, entertainment, and special event tours. The Riverboat offers tours from May through September depending on the weather, and it explores the beauty of the river and its surroundings as it cruises languidly through the calm waters. The boat is fully equipped for comfort with comfortable indoor and outdoor seating for 150 passengers, modern restrooms, and a salon/bar that serves refreshments during the cruise. The Lewis & Clark Riverboat can be chartered for private events such as weddings and birthday parties, and it departs from the Port of Bismarck on River Road. 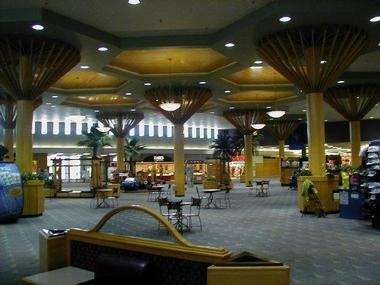 Built in 1970 by the Wachter family, the Kirkwood Mall, also known as Kirkwood Plaza, is an enclosed shopping center in the heart of Bismarck. Spread over 850,000 square feet, Kirkwood is the second largest mall in the state and is home to more than 90 shops and stores. The mall features five large anchor stores such as J.C. Penny, Scheels All Sports, I. Keating Furniture & Flooring, Target and Herberger's, as well as a range of smaller stores and well-known brands. While there is no designated food court within the mall, featured restaurants and eateries located throughout the mall include Grizzly's Grill & Saloon, Grand China Buffet, Bob's Pizza Plus, Auntie Anne’s Pretzels, and Northwoods Candy Emporium. A Pizza Hut Express and Starbucks Coffee can be found at the new Target store. With its rustic exposed brick walls covered with original artwork, elegant furniture made of beautifully designed woods and metal, and modern light fixtures, Pirogue Grill could be in any world metropolis. The menu is international as well, but the ingredients are all local: bison, rabbits, walleye, in-house made venison sausages, and produce from local farms. 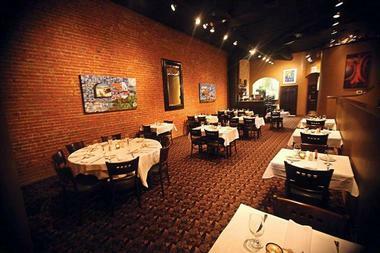 The menu changes with the seasons to offer only the freshest and the best the area has to offer. If you like Asian food, Oahu is the right place for you. You’ll find Japanese sushi, Thai Pad See Eu, Korean BBQ, a few Philippino touches, and, of course, Hawaiian, such as Loco Moco. The spacious and cozy dining room features warm burgundy walls and a few Asian art pieces, creating a pleasant and welcoming atmosphere. The menu is huge and the choice of rotating beers, craft, local, and all others, is excellent. Award-winning Oahu cocktails come with little umbrellas to put you in the Aloha mood. Their sushi selection is enormous and excellent, from the classic rolls to the chef’s quirky concoctions - there is something for everyone. ART Gallerie on Main is a high-end gallery in Downtown Bismarck owned by artist Lydia Richez-Bowman. Located inside the Barrister Building in the Barrister Building Mall, ART Gallerie on Main showcases the award-winning artwork of Richez-Bowman, as well as the works of several other local and regional artists through different exhibits throughout the year. Lydia also offers a variety of art-based workshops and programs to the community, including art classes for adults and children ranging from Acrylic Painting, Charcoal Portraiture, and Metal Embossing to Wine & Design, Weaving, and Open Saturdays, which are free to everyone. She also offers Healing Art Workshops to cancer patients, survivors, and family caretakers, and a popular annual exhibition called Healing through Art Exhibit is held every October as a part of Breast Cancer Awareness month. Located in the marble lobby of the former historic Patterson Hotel, Peacock Alley will envelop you with a sense of history. Decorated with priceless antiques, magnificent stained glass, and a wall of old photos, this bar and restaurant, the oldest in North Dakota, opened its doors in 1933 at the end of prohibition, and it is still the city’s gathering place and the venue for the most important meetings and celebrations. 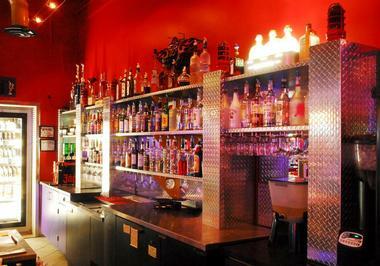 Its spacious bar is famous for 18 kinds of classic and special cocktails and an excellent selection of wines and beers. Head Chef Dustin Swenningson will treat you to delights such as Salmon Crusted Bavarian Pretzel with smoked salmon and flavorful asiago cheese, and you can have a choice of superb cuts of beef such as Teres Major Steak with goat cheese and tomato bacon jam. Keelboat Park is a lovely green space next to the Missouri River that offers visitors a variety of things to see and do. Part of the Missouri Valley Legacy Center, which is packed with information about the history of the area and steamboat and keelboat transportation along the river, the park features several excellent walking and hiking trails and outdoor self-guided tours. It also has a 55-foot full-scale replica keelboat similar to the one used by Lewis and Clark and a huge Thunderbird sculpture created by United Tribes Technical College students. Enjoy art, history, and the great outdoors all in one visit to Keelboat Park. Bismarck Art and Galleries Association (BAGA) is an organization that promotes the study and preservation of the visual arts. Founded in the early 1940s after a few people interested in art came together to exhibit their favorite works, the association has grown in leaps and bounds and now hosts several large art-based events throughout the year at their Visual Art Center. 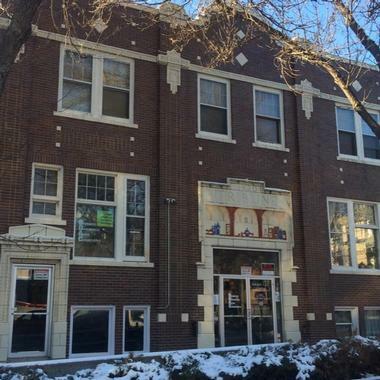 Housed in a building at 422 East Front Avenue, the Bismarck Art and Galleries Association Visual Art Center features a variety of exhibitions and displays of various artworks in different mediums, and it offers art classes for all ages and hosts special events. 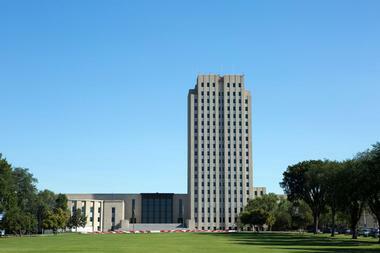 BAGA also produces the Annual Capital A’Fair art and craft show held at the Bismarck Capitol Grounds each year. 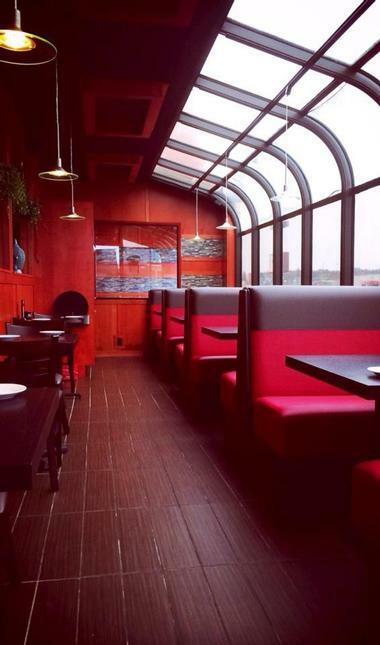 Humpback Sally’s is a cozy, lively place on the ground floor of the ultramodern downtown Becker building. This popular bar and restaurant encourages companionship and sharing with its large communal tables made of reclaimed wood and the range of delectable small plates. It is the perfect place to come with a bunch of co-workers or friends and sample imaginative tapas and some of the superb cocktails this bar is famous for. You will delight in watching their renowned expert bartender Kate Gerwin play with high quality spirits and ingredients you would not think of putting together. You can go for the old classics Kate prepares with her own twist or be brave and try something new. Tapas range from street tacos and shrimp and grits to Korean BBQ and truffle fries, all of which are delicious. Bismarck's Riverwood is an 18-hole par-72 championship course that features tree-lined fairways, velvet putting greens, grassy swales, and changing bunkers. The challenging course measures 7,004 yards and offers many risk-reward options that make for an excellent and enjoyable round of golf. Riverwood Golf Course is a cart path only facility, but the course is walker friendly, and pull carts are available. Other club amenities include a driving range, chipping and putting greens, a pro shop and snack shop, and an on-course beverage and snack service. Lessons can be booked with a PGA pro, and the club can be rented for private events. Voted as one of “2016 Best Courses You Can Play” by Golf Week magazine, Riverwood has been the course for many Pro-am tournaments where aspiring PGA pros have tested their skills. 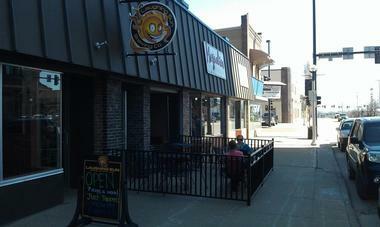 Space Aliens Grill and Bar is a mini-chain restaurant and entertainment place, and the flagship is in Bismarck. The huge domed ceiling shows a depiction of outer space and the interior is full of display cases with alien statues and many popular science fiction characters. Their arcade room with a number of themed games is a delight for the kids, and the bar and restaurant, where the adults normally hang out while the kids are having fun, is called The Bar from Mars. The food consists of well-prepared large portions of good old comfort food. If you are an alien and do not know what comfort food is, expect some great fire baked pizzas, burgers, salads, and sandwiches. 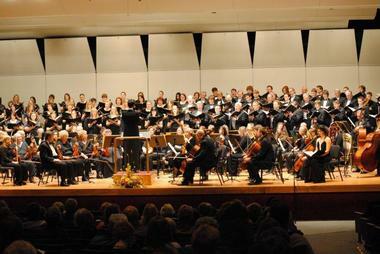 The Bismarck-Mandan Symphony Orchestra is a famous regional orchestra that calls Bismarck its home. The orchestra consists of approximately 80 local and regional musicians trained in classical and modern symphonic music, and it performs nine concerts per season, including five fully classical concerts and a popular three-concert pops series. Led by Music Director Dr. Beverly Everett, who is the orchestra’s third musical director in its 36-year history, the BMSO is proud to have worked with some of the world’s top musicians, including Martina Filjak, Aaron Meyer, and Korliss Uecker. Renowned for its strong commitment to collaborative projects, the BMSO has had several large-scale collaborations with companies such as the Bismarck-Mandan Civic Chorus and the Bel Canto Children's Chorus. Committed to improving the cultural life of Western North Dakota through creative, exciting, and artistically thrilling concerts, the BMSO launched a new concerts series called "Rush Hour" concerts, featuring weekday hour-long chamber performances. Laughing Sun Brewing Co is a popular tavern and brew house located in the historic Laskin Building in downtown Bismarck. You can watch the brewing process through the wall of glass as you enter the tavern, or you can perch on a bar stool at their unique custom-made concrete bar. There is always something new on tap such as their signature brews Sultan IPA or New Minglewood Wheat. This cozy popular pub seats 65 and accommodates many more during their music evenings that host local groups every Saturday and Wednesday. 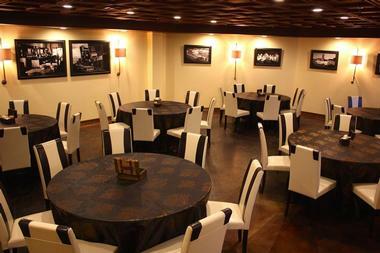 Have a look at the display of local artists’ artwork on the wall while sampling the brews. 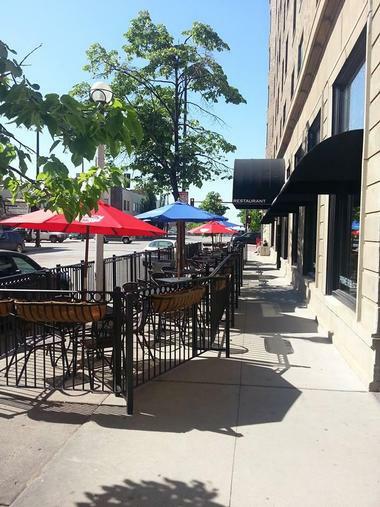 If the weather is nice, enjoy their lovely small patio.